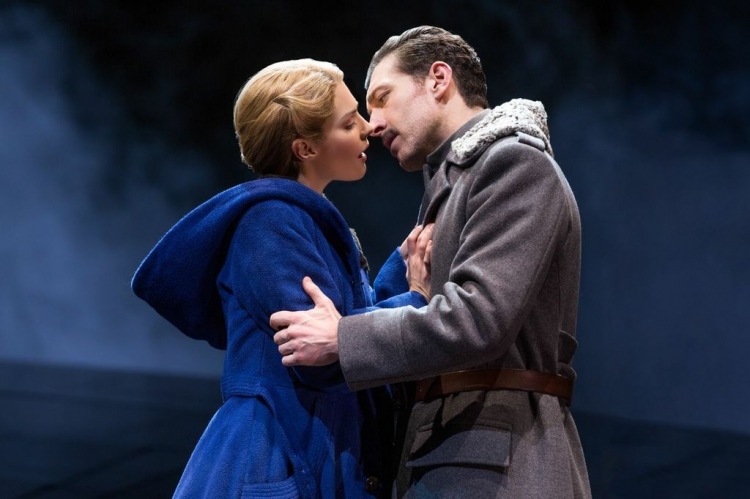 From a source rich for musicalisation, epic historical romance Doctor Zhivago arrives on Broadway in the same sweeping, dramatically charged production that was seen in Australia. 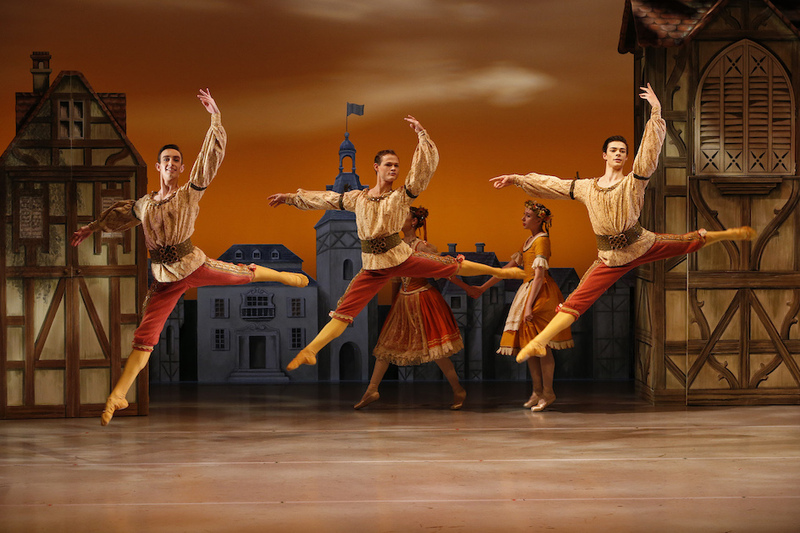 The 2011 Australian tour was obviously considered a great artistic success given the minimal tweaks to the staging. The changes really boil down to two points: Lara is now a blonde while Tonia is a brunette, and beloved tune “Lara’s Theme” has been added to the score. The inclusion of “Lara’s Theme” is a sentimental nod to the popularity of this tune (and a chance to use it in advertising). Thankfully, it has been used in a subtle way so as not to overshadow Lucy Simon’s gorgeous score. “Somewhere My Love” is sung by nurses on the front as a kind of cheerful folk song. 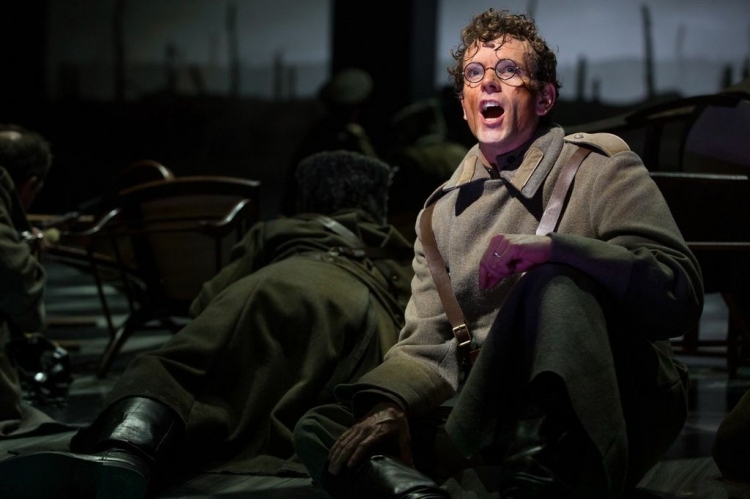 Simon’s own love themes are still all prevalent, the best of which are “Now” and “On The Edge of Time.” Beginning as a letter from a dead soldier to his beloved girlfriend and growing into Lara and Zhivago’s realisation of their own love, “Now” must be one of the most romantic songs ever written for a musical. Fingers crossed that the Broadway season means that the score will finally receive a cast recording. Michael Weller’s book remains economically concise, with lyricists Michael Korie and Amy Powers covering much of the storytelling. To keep the air of excitement alive, director Des McAnuff sets the action faster and the gunshots and explosions louder. The opening sequence is particularly brisk, and some familiarity with the story would definitely help the audience at this point. One of the most admirable features of the book and direction is the use of crosscutting scenes that transcend what can be shown on film to create a dramatic juxtaposition of events occurring simultaneously. 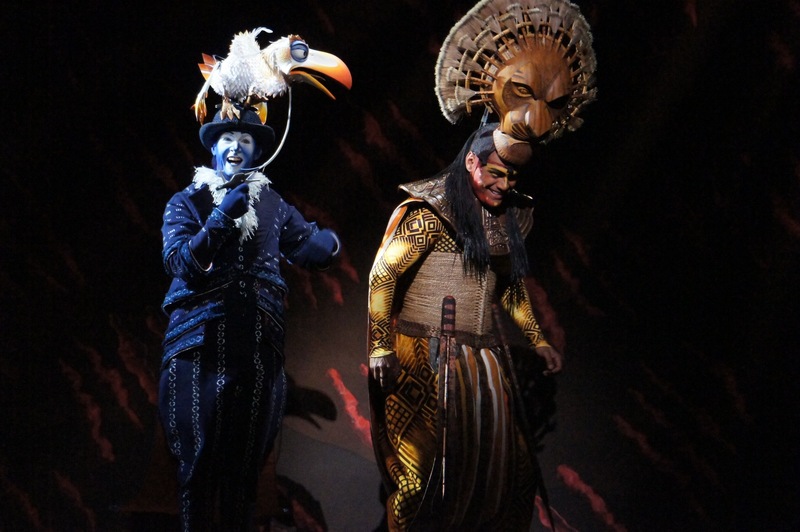 Another aspect that would help audience understanding would be more distinctive costumes. Paul Tazewell, who is new to the team since Australia, must have had a brief to keep fabrics and colours drab. Surely there must have been a clever way to work around this and create a recognisable look for the key characters. Michael Scott-Mitchell’s scenic design has been enhanced with digital effects on inbuilt screens. The ingenious concept of the setting sees large solid constructs represent any number of locations, thus swiftly facilitating flow of overlapping scenes. 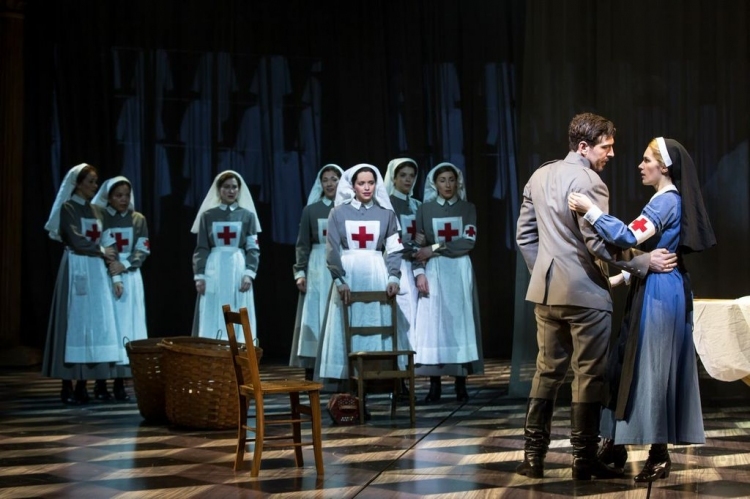 It was disappointing not to see leading man Tam Mutu (so strong in London’s City of Angels recently) due to illness, but at least this performance was not cancelled. Bradley Dean was a solid replacement, a little lacking in charisma but with a strong singing voice. 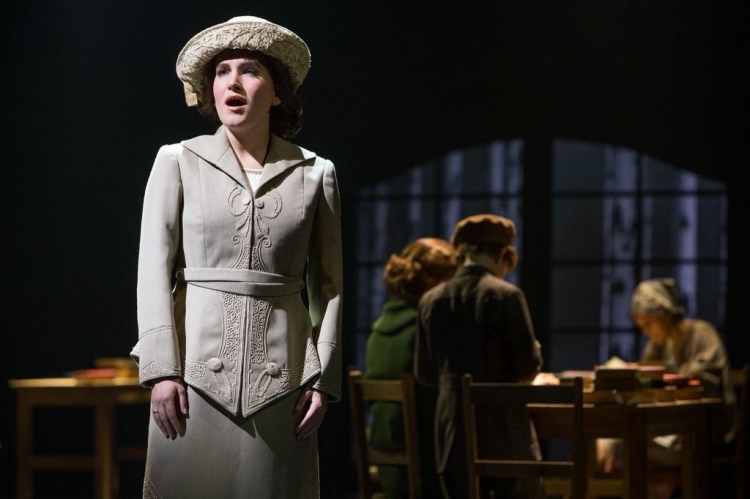 Kelli Barrett is an angelic Lara, singing sweetly and playing the burgeoning romance convincingly. Lara is also a magnet for sleazy official Viktor Komarovsky and for her husband, Pasha. Tom Hewitt misses a little of the malevolence of Komarovsky, going for a safer (read: blander) characterisation. Paul Nolan is blisteringly hot as Pasha, displaying a thrilling belt and taking the character on a believable journey from wide-eyed student to ruthless revolutionary. He also manages some very impressive Russian folk dancing. Nolan’s performance is truly exciting, and he is sure to break out as a star from this role. 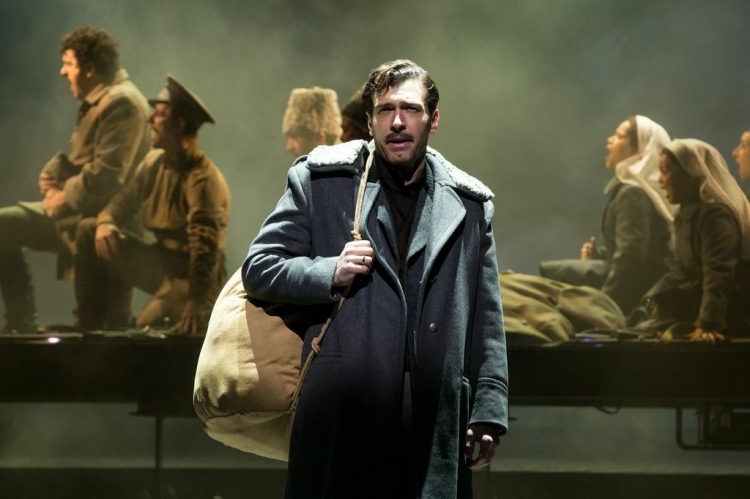 Doctor Zhivago does not quite reach the Les Misérables standard for romantic musical drama but it certainly comes very close. Fans for this genre looking for fresh material will not be able to resist Doctor Zhivago. 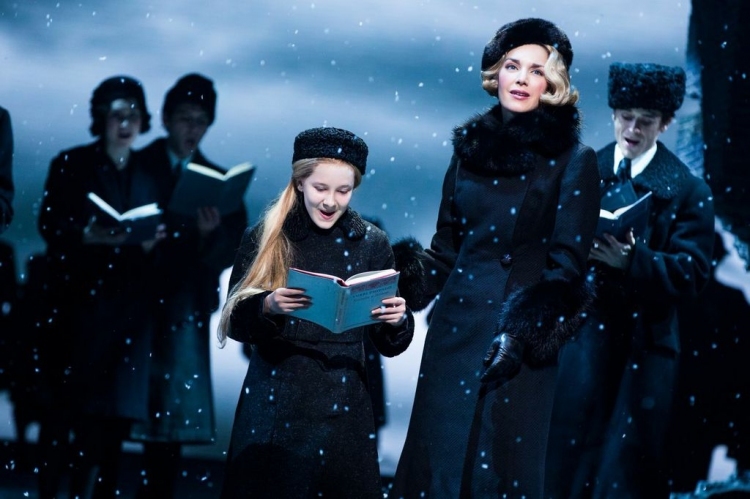 Doctor Zhivago was reviewed 7.30pm Sunday 5 April 2015 at Broadway Theatre, New York. 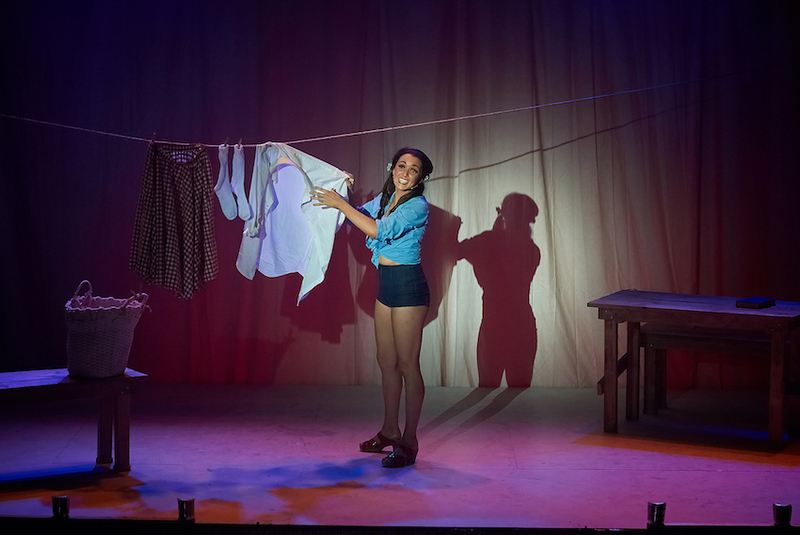 To see photos of the Australian production, click HERE.